It’s no secret that we’re big fans of husband and wife duo Michael Jinsoo Lim and Melia Watras. They’re one half of the Corigliano Quartet, whose recordings are often heard on our 24/7 stream, we’ve featured them on our weekly program The Takeover, reviewed Melia’s latest Sono Luminus album Ispirare, and most recently we hosted them in our studios to record a video of Melia’s composition, Berceuse. This piece showcases Melia’s composer-performer role and the beauty of a relationship between two people share a life in and outside of music. “Berceuse for violin and viola is an adaptation of the original voice and viola version of the piece, which I wrote for the fantastic folk singer Galia Arad. The piece first took shape while I was practicing the exquisite fourth movement lullaby of Robert Schumann’s Märchenbilder. Galia’s folk style was very much in my mind as I composed. Michael and Melia are integral to the (new) music community in Seattle – Michael as Concertmaster of the Pacific Northwest Ballet and Melia as Associate Professor of Viola and chair of Strings at the University of Washington. Both actively perform in other venues around the Northwest and are always pushing the boundaries of what music and art can be. To see more videos produced by Second Inversion, check out our video page! Think of the composers that have most inspired you. What is it about their music that makes your ears perk up, your heart soar, and your soul come alive? What is it about their music that makes you want to pick up an instrument and play something? Violist Melia Watras asks all of those questions in her new album, “Ispirare”—but she also asks one more: what is the music that most inspired the composers themselves? 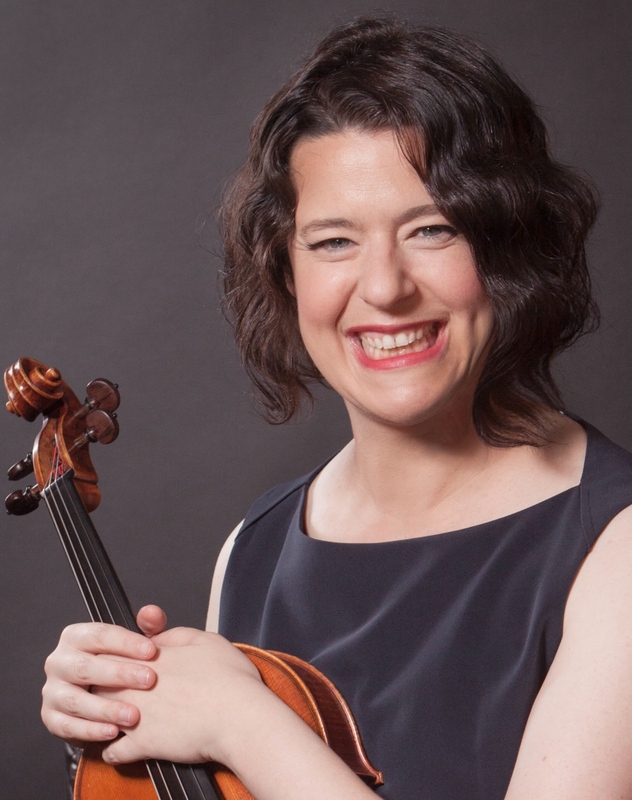 Watras has commissioned and performed numerous works by living composers throughout her career as a soloist, chamber musician, and recording artist—establishing herself as a very versatile violist in the contemporary classical music scene. So who made it on Watras’s list of most inspiring contemporary composers? The album features works by George Rochberg, Atar Arad, Luciano Berio, and Shulamit Ran. “Ispirare” begins with George Rochberg’s 1979 Sonata for Viola and Piano. Written late in his career, the piece is a lush tapestry of gorgeous melodies with clear ties to earlier composers. The first movement makes heavy use of chromaticism, extended tonality, and a unique harmonic language at times reminiscent of Bartók, while the dramatic, sweeping piano figures pay tribute to Richard Strauss. The soaring melodies and poignant lyricism of the second movement glide above jazz-infused harmonies, and the third movement ties the piece together with a neoromantic fantasia, an epilogue of sorts borrowing bits and pieces from the first two movements. The piece that follows, “Caprice Four (George),” was inspired by Rochberg’s sonata, and even quotes part of it. Composed in 2003 by Watras’s former viola professor, Atar Arad, the piece is part of a set of viola caprices which Arad intended as “thank you notes to composers who graced us with great viola pieces.” With the exception of the opening phrase, the caprice is played entirely on the G string of the viola, with the instrument’s rich tone ringing and echoing unaccompanied. Intimate and exposed, the piece showcases the viola’s immense power and force as an instrument—and likewise Watras’s intensity and expressivity as a soloist. In another cross-musical connection, Atar Arad’s daughter, singer Galia Arad, appears on the album’s next track: Luciano Berio’s “Black is the Color…” from his 1964 song cycle, “Folk Songs.” Composed for mezzo-soprano and small chamber group, the piece borrows from American, Armenian, Azerbaijani, and Italian folk traditions. Wistful viola motives and modal harmonies accompany Galia Arad’s gentle, daydreaming voice as she drifts through the sweet, simple, and sincere vocal melodies. The song is so achingly beautiful, it’s no wonder it was the inspiration behind the next piece on the album, Shulamit Ran’s 2010 “Perfect Storm.” Watras commissioned Ran to compose a piece that made use of an existing work of her choice, and Ran chose to expand upon the viola motif in Berio’s song. The result is an unaccompanied viola solo which travels through a series of diverse musical landscapes: at times rocky, jagged, and intense, but at other moments sweet, shy, longing, and lyrical. It is (as the title suggests) the perfect storm: wind, rain, and rhythmic turmoil envelop the listener before the clouds clear, the pizzicato pitter-patter fades away, and they are left with a beautiful, airy silence. The final and most experimental piece on the album is Berio’s 1985 “Naturale (Su Melodie Siciliane),” written for viola, percussion, and the recorded voice of a Sicilian folk singer. Recorded by the composer in Palermo, the voice belongs to Celano, whom Berio described as “perhaps the last true Sicilian storyteller.” The piece highlights the contrast between the highly refined classical transcription of folk songs with the raw and organic voice of a true folk singer. It’s the perfect ending to the album, as it juxtaposes, quite plainly, the musical inspiration itself with the music that it inspired. And like all of the pieces on the album, “Naturale” illustrates the way musicians both inside and outside of the classical music sphere can teach one another, learn from one another, engage with one another, and ultimately, inspire one another. PS, If you missed Melia’s edition of “The Takeover” with her husband Michael Jinsoo Lim, listen below!